• Made with plastic that is widely recyclable. Specially designed to fit to your Fellowes Shredder, these Fellowes Shredder Bags have a high capacity and are of a high quality. Supplied in an easy-access dispenser, these bags are quick and simple to change, reducing downtime between jobs and increasing your productivity. 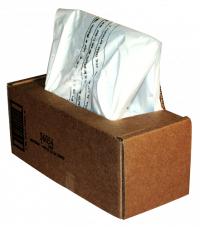 The large pack of 50 bags helps keep you fully stocked when you need a replacement bag and is an economical solution to shredder waste disposal. These sacks can hold up to 98 litres of paper waste and are suitable for use with the Fellowes 225i, 225Ci and 225Mi shredders. 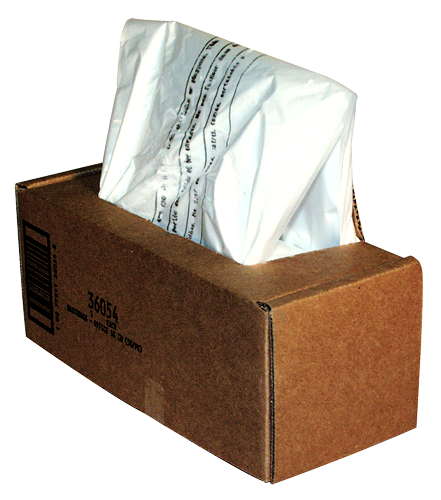 These sacks come in a pack of 50 and are made of durable polythene.